You can now make a federal case out of a lost trade secret. The Defend Trade Secrets Act of 2016, which became law on May 11, 2016, allows businesses and individuals to bring civil lawsuits in federal court for misappropriation of their trade secrets. Previously, an action based on trade secrets had to be based on state law – in Minnesota, the Minnesota Uniform Trade Secrets Act, Minn. Stat. ch. 325C. This meant that unless the defendant came from out of state, the action most likely had to be litigated in state court. The Defend Trade Secrets Act erases this distinction between trade secrets and their intellectual property kin, patents and copyrights, which long have been included within the federal bailiwick. Imagine FBI agents bursting into a business to grab documents that a newly hired employee stole when she left the business’s competitor, her previous employer. 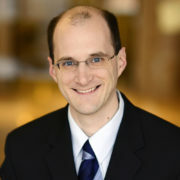 While the Minnesota statute allows a victim of trade secret misappropriation to seek an injunction prohibiting “[a]ctual or threatened” misappropriation of a trade secret, an injunction usually requires providing notice to the party to be enjoined, so that they may appear before the court and present their arguments against an injunction. A victim may fear the person who stole the trade secrets, upon receiving notice of the lawsuit against them and the injunction hearing, will respond by giving the trade secret to others, or even by publishing the secret for all the world to see. If that happened, the victim could win the lawsuit but still suffer great harm through loss of the secret. Often when a secret is released, it cannot be un-released; the information spreads too quickly. It is true that under Minn. R. Civ. P. 65.01, a victim of trade secret theft could move for a temporary restraining order requiring the thief not use or disclose the trade secret. A TRO motion allows an opportunity to present arguments to the court without tipping off the target of the motion. However, even if the victim persuaded the court that his trade secret had been stolen and a TRO granting immediate relief was necessary, the court would only order the thief not to engage in certain acts. The thief would still have an opportunity after receiving notice of the order to disregard the order and publish the trade secrets. The new federal law seeks to prevent this by allowing a surprise seizure to wrest the secret from the thief’s control before he can communicate it to others. The Defend Trade Secrets Act, then, offers trade secret owners a new tool to defend their intellectual property. Of course, the phrase “only in extraordinary circumstances” in the law is an important limitation. It will fall to the federal courts to determine what circumstances are “extraordinary” and what are not. If the federal judges take a strict view, the difference between Minnesota’s trade secret law and the federal one may turn out for practical purposes to be quite small. Federal law has imposed potential criminal liability for the theft of trade secrets since at least 1996. See 18 U.S.C. § 1832. But businesses or individuals seeking damages for misappropriation of trade secrets had no federal statutory right to bring a civil lawsuit. An out-of-state defendant could allow litigation of state law claims in federal courts through the rule of diversity jurisdiction in 28 U.S.C. § 1332.